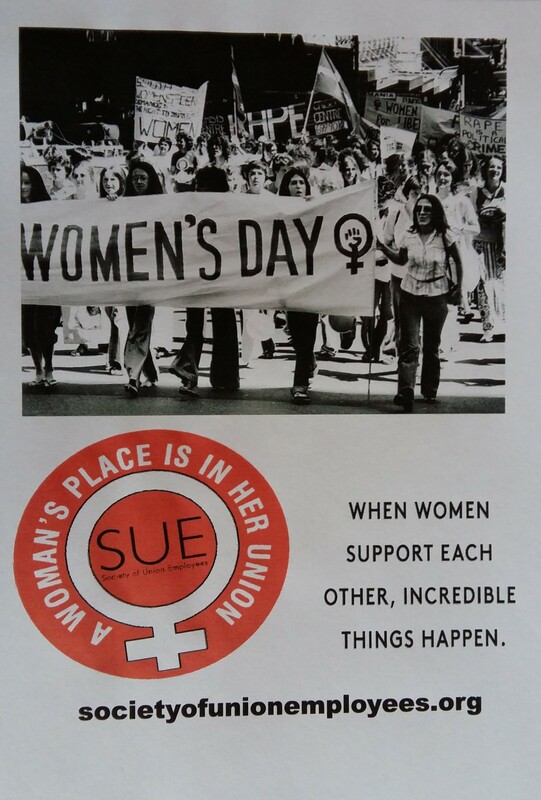 In 1986 SUE created specialist seats on the Executive Committee of SUE, to represent women who at that time were under represented. Over the years these seats have been filled by many active members of the Executive who have contributed much to the running of SUE. In 2017 the women members of SUE elected Angela Lysons and Sylvia McCluskey to the Women’s seats on the Executive Committee.This was the first time that a member of Branch Employed Staff was elected onto one of the Women Seats. 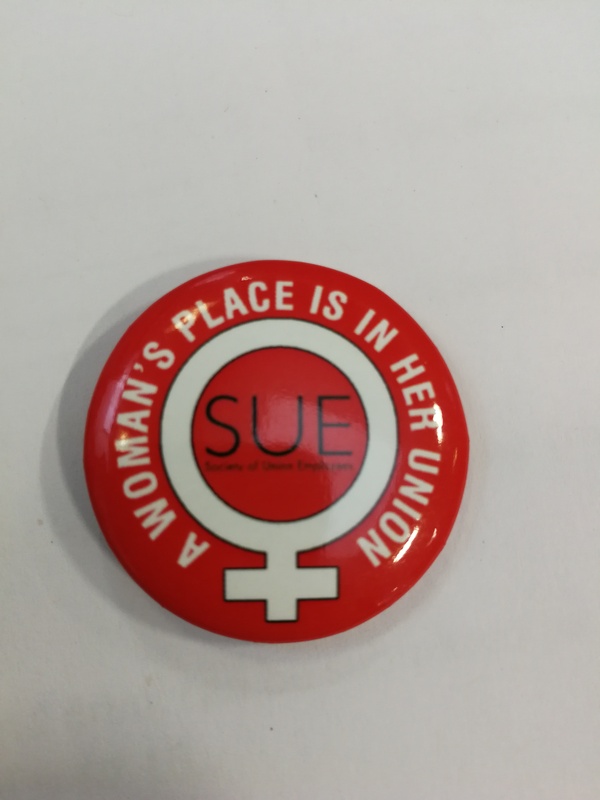 SUE has produced this button badge for women members. If you haven’t received one, please contact your Branch Secretary or Angela Lysons.